We are quickly approaching the dethatching season, which is a great time to rent a power rake and aerator. Check your local rental store for deals they may offer on these items. Here are a few tips regarding dethatching and aerating so you know what you're getting into before you start. Thatch is a layer of dead stems, roots and clippings between the soil's surface and the green vegetation, which can deprive your lawn of vital nutrients. 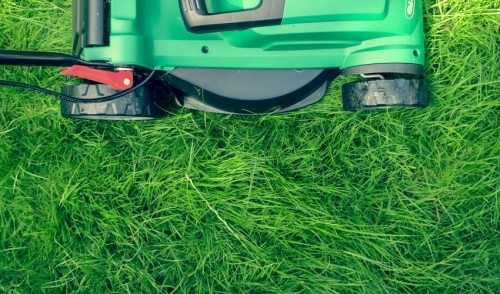 This can cause your lawn to look dull, yellow and lifeless. Excessive thatch prevents water, air and nutrients from entering the grass roots and provides the perfect breeding ground for insects and disease. Dethatching (or power raking as it is sometimes referred to) is a process that mechanically removes accumulated thatch using steel flail blades to lift thatch debris to the surface for removal. Once this build up is eliminated, air, water and nutrients can flow freely to the roots, rejuvenating a lifeless lawn. Dethatching may temporarily cause some minor turf browning for a period after using a power rake. To expedite the recovery of the lawn, all thatch should be removed. Fertilizer and herbicide should then be applied to prevent the growth of weeds while replenishing vital nutrients that the lawn needs to regain its green, lush appearance. The next step for a great lawn this year will be to aerate. Soil compaction is a frequent cause of turf deterioration. Compaction is caused by all types of lawn traffic such as walking, mowing, kids and dogs running across the grass and is greatest in the top 2-3" of the soil. In compacted soil, dirt particles are forced together reducing the area where roots can grow. Aeration, the process of mechanically removing cores of turf, relieves compacted soil by improving the exchange of water and critical nutrients between the atmosphere and the grass’ roots. For optimal effectiveness, aeration should be performed at least once annually. Spring (between March and May) and/or Fall (between August and November) are the ideal times to aerate cool-season grasses, such as perennial ryegrass and Kentucky bluegrass. Warm-season grasses, such a Zoysiagrass and Burmudagrass benefit the most from spring and summer aeration. In drier climates aeration increases drought resistance while decreasing the amount of watering necessary to help lawns remain healthy. Lawns that receive regular aeration will be greener, easier to maintain and suffer from fewer pest problems and disease.